Hidrostal Pumps with screwcentrifugal impeller are available as end suction pumps and submersible pumps. Both types can be delivered for horizontal and vertical installation. In addition Hidrostal offers immersible pumps with internal oil cooling, that are suitable for dry installation. By adding the SharkFin and JetDisk, the innovative FreeFlow-Technology increases the benefits of the Hidrostal hydraulic characteristics and improves the reliability of your pump installations. FreeFlow-Technology is ideal for pumping liquids with high solids content and containing large amounts of fibrous material. Hidrostal Prerostal-System as method of matching pump outflow to pump station inflow without the need for additional flow control or additional electrical equipment such as inverter. Moreover, it is a highly effective sump cleaning system without the need for any additional mechanical or electrical items, such as grinders, bar screens or mixers. Continuously we meet the challenge of our partners – water boards, cities, engineering companies, plant manufacturers- und industrial companies. Our partners can rely on us. Together we step towards practical, innovative and suitable solutions. Our pump experts give support in pump design and assist by answering questions for possible applications. Hidrostal pumps are working successfully in Germany since the late 1960s. 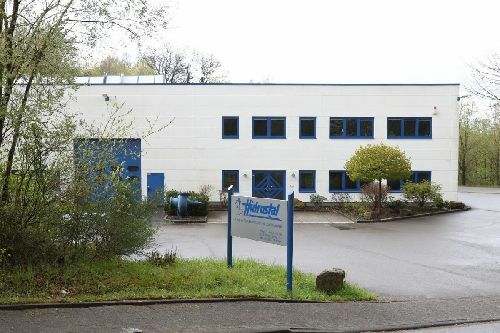 Hidrostal GmbH was founded in 1978 and is a daughter company of the internationally acting Swiss group Hidrostal Holding AG. Our energy efficient products are used in numerous municipal and industrial sectors. We are known for our good quality and the high technical performance of our pumping systems.